When I said I was heading to Japan via a 15-day repositioning cruise across the Pacific Ocean, most of my friends and family wanted to know what I would do at sea for 8 days straight. What I wanted to know, however, was what I would eat as a celiac in Japan, a country with quite a lot of wheat in its current diet. This gluten free Japan post is the summary of not only what I ate, but also the research surrounding some of the foods in the country and a translation card in Japanese to navigate Japan with less fear. Already know you want a gluten free translation card? You can buy my Japanese card here, as well as Italy, Greece, Spain, and more! THIS PAGE WAS LAST UPDATED APRIL 2017. Should celiacs travel to Japan? When people think of Japan, they often assume it will be easy for celiacs. After all, there is an abundance of rice, and sushi is generally thought of as free of gluten. Unfortunately Japanese food is also rife with soy sauce (which has wheat), barley, and wheat flour, and even basic sushi rice sometimes contains a vinegar that blends barley malt with rice vinegar, causing distress for celiacs. Historically it was rice and not wheat that was grown and used in cooking throughout Japan. While wheat was consumed in small quantities, it wasn’t the prevalent filler that it is today. Wheat imports have grown steadily since the 1950s, and as Slate’s Nadia Arumugam writes, a good part of why is due to an aggressive advertising campaign and subsidized wheat-filled lunches provided to Japan by the US Government after World War II. These days, with instant ramen noodles, wheat-filled sweet buns and custard treats, and soy sauce that now contains wheat, it is incredibly difficult to avoid gluten. Should a celiac visit Japan? My fears were well-founded. I got sick quite a few times, often unable to pinpoint what it was that I ate. Despite using a Japanese gluten free translation card and, for part of the time, having a guide with me, I hadn’t done very much pre-trip research. In addition, the gluten-free card was fairly generic — it merely said “I cannot eat wheat or barley or rye or soy sauce” and explained that I had a disease that got me sick. Though I appreciate that the card was available, it was not as detailed as needed in Japan because of the incredible prevalence of wheat. People tried to help, but despite reading the card overlooked that soy sauce had wheat flour, or that miso would need to be avoided unless made from rice, which was more rare. I created the card below for a more detailed explanation of what might have gluten, and then paid a translator to translate it. I would tell celiacs to visit because the country is breathtakingly beautiful. 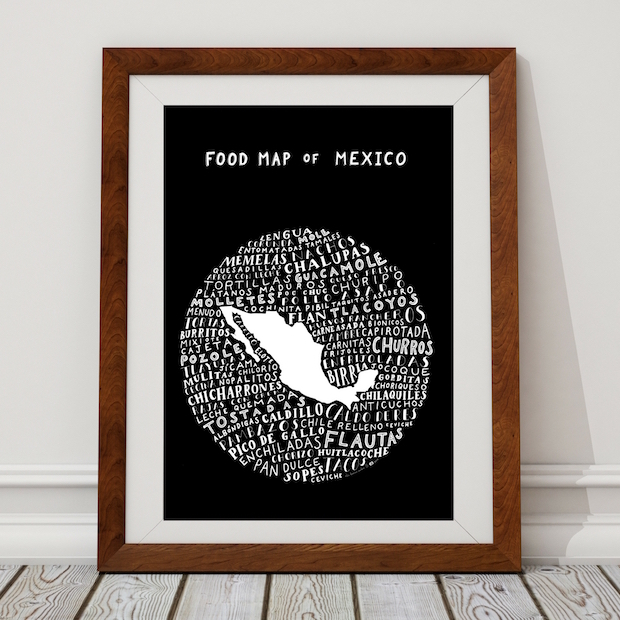 But be prepared to be vigilant about your food, to be patient with those who do not understand your concerns with their ingredients, and to miss out on part of what makes the country extremely special: its culinary masterpieces. Japanese people did take the card very seriously when it was shown to them. It was not that they pretended there was no wheat, or that they were dismissive. To the contrary, I think it also stressed people out that they could not truly understand what I was trying to avoid. There are countries where people don’t take celiac disease or allergies generally very seriously. Japan isn’t one of them. Communication was the biggest problem, as well as understanding labels from food stores. 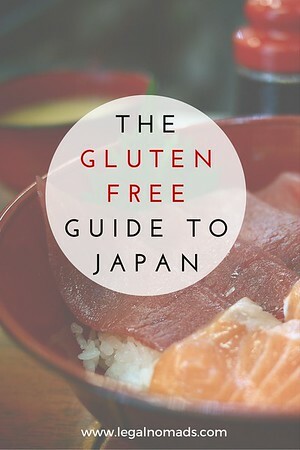 I put together this gluten free guide to Japan in the hopes that it would help those of you who have the disease or are eating gluten free avoid what will make you ill. It isn’t easy, but it is doable. I wish I had done all of this research ahead of time. Think of it as my getting sick and learning as I go so you don’t have to! Basically, I didn’t want to throw art in an artisan’s face. But I also couldn’t eat their food. This card was the first in what has become a series of gluten free guides and local language cards, and I’m excited to be working with translators and celiacs to build detailed and safe cards for us to use on the road. Each of the cards in the guide has been created with celiac-specific research, mention of cross contamination, and double checked paid translation from locals who speak the language. I have used several different translation cards on my travels, and still got sick. I may be more sensitive than some celiacs, but even a small amount of contaminated oil for frying, or soy sauce in the food, is enough to make me ill for days. This card was researched by a celiac who loves to eat. It went through 2 translations for accuracy, from Japanese speakers who also love to eat. It uses local food names, and makes clear mention of cross-contamination concerns. It suggests alternatives for chefs, like rice, rice noodles, and pure buckwheat. Hi Jodi, I obviously don’t know exactly what is written on the card in English, but it is excellent and saved my skin the other night. The restaurant that we went to boils its edamame in the same water as its udon noodles. The poor waiter kept pointing at the card when I said I could have edamame until he managed to explain the way they cooked them.Needless to say I didn’t get much for dinner that night, but I wasn’t poisoned either.Indispensable. Thanks again. 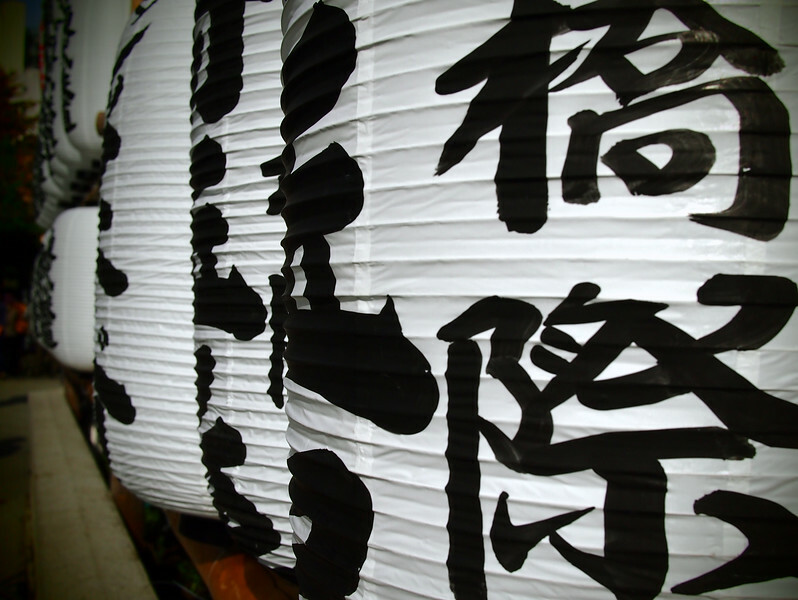 Understanding the basic kanji so you can read ingredients, knowing what is safe and unsafe, and being able to show a card that can help is far more important than an address where you might not be faced with a waiter or staff who can communicate. That said, at the end of the post is a list of gluten free restaurants in Japan that were provided thoughtfully by fellow celiac Sarah. This kind of research is a good part of what mitigates my fear as a celiac when I travel. I did not do it ahead of this trip, and I regretted it. Does “glutamate” in a product mean it contains gluten? No—glutamate or glutamic acid have nothing to do with gluten. A person with celiac disease may react to the wheat that may be present in soy sauce, but not to the MSG in the product. In addition, the Gluten Free Dietician confirms that while MSG used to be derived from wheat flour, it is no longer the case and has not been since the 1960s in North America. That said, sites have referred to Japanese and Chinese MSG as potentially still isolating the additive via wheat gluten. Now specifically about Ajinomoto, the white granulated product that is synonymous with MSG: According to the official Japanese Ajinomoto company site, it is currently made by “fermenting the sugar extracted from sugar canes or corn, tapioca starch and other ingredients”. Of course other companies might still do so in the Asian or Southeast Asian region. I should note that most of the MSG I saw being used in Vietnam and Japan was Ajinomoto. Having stuffed my face in Asia for the last many years, my inadvertent glutening has been related to soy sauce consumption or sauces with flour and not MSG. I would love to hear other people’s experiences here. We went to quite a few izakaya bars during my time in Japan. Izakaya are casual drink and food places, smokey from the grilled meat and loud with beer-filled patrons hungry and conversational. While almost all of the food at an izakaya will have wheat or soy, you can ask for your meat or chicken skewers (yakitori) to be made with a salt (shio) cooking technique, instead of the sweet and savoury sauce which has soy in it (called tare). Choose salt and you will be ok, or at least I was! They consisted of yakitori that were brushed with salt and grilled, and were not pre-marinated. In North America, it is quite difficult to find 100% buckwheat (soba) noodles. Despite the name, buckwheat does not contain any wheat, and also has no gluten. Buckwheat has been providing protein, zinc and potassium to humans for almost 8,000 years, first appearing in the Balkans in 4000BC. Despite being more prevalent in Japan than North America, many dried and fresh versions of soba noodles in Japan are nonetheless mixed with wheat. I only found one noodle restaurant during my travels that made their noodles with 100% buckwheat, far more expensive than the usual soba fare. Unfortunately I was not able to eat the noodles with soup broth because they had put soy sauce for flavouring, so they were kind enough to provide me with the water these same noodles were boiled in and also some freshly grated ginger. Most soba stops will be making noodles with a mixture of wheat and buckwheat, so despite the technically gluten-free base ingredient, they should be avoided unless you’re sure they are all buckwheat. Regardless of where I was in Japan, there was a 7-11 or a Family Mart convenience store nearby. Full of fun ice cream treats and prepared food in crazy (to this Montrealer anyhow) flavors, these shops also contained something for the gluten-free eater. Often there are grocery stores attached to transportation hubs like bus and train stations. These stores are well-stocked and contain many of the snacks I list below. Bubble tea: made with tapioca pearls and black tea and milk. I did not test out the different flavours as those are often made via powder, which could have a wheat derivative in it. Edamame, though be warned some might be boiled in udon water. Yakiimo, sweet potatoes that are baked. Avoid sauces! Salt just fine. Onigiri, the adorable triangles of rice and seaweed served at train stops and convenience stores and grocery stores alike. Be warned: most of these are off limits. The pickled plum (ume) onigiri was fine, as was some of the salmon (鮭 sake) ones. Please consult the ingredients on each onigiri before eating, using the kanji below. Hard-boiled eggs: The eggs come in packages of one or two and are perfectly boiled and — somehow — presalted inside the shell. They were a lifesaver, and most importantly they did not smell. Yes, I was that awkward person eating hard boiled eggs in a park, but it was better than nothing at all. Soyjoy granola bars: not the most delicious, but most were gluten free. Check ingredients of course. Roasted chestnuts, right off the grill. Calorie-filled but wonderful. 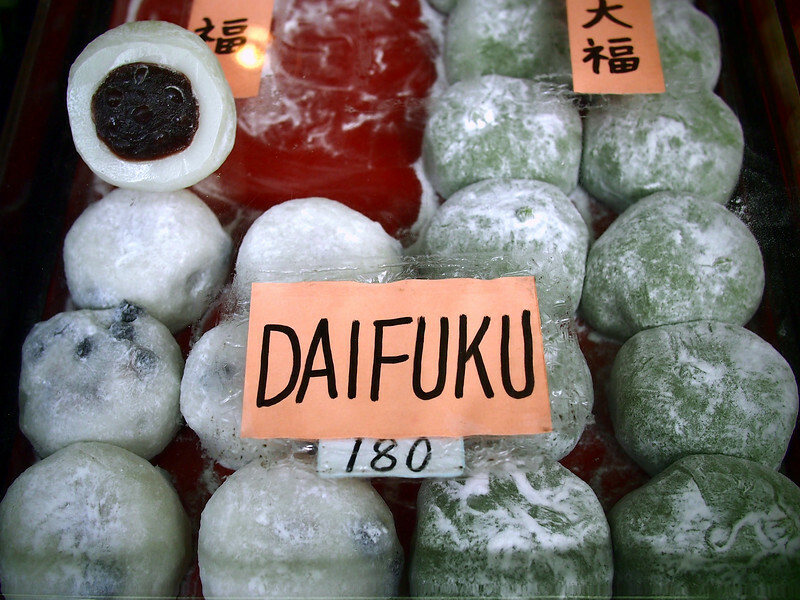 Mochi (daifuku). Made from rice flour or arrowroot flour, they are delicious and dusted in rice flour coating and I was very happy that they existed. Note that these should be purchased from a vendor specializing in daifuku as the ones from the convenience stores may have a starch syrup that has gluten. (Look for the kanji!) My favourites were red bean and black sesame. 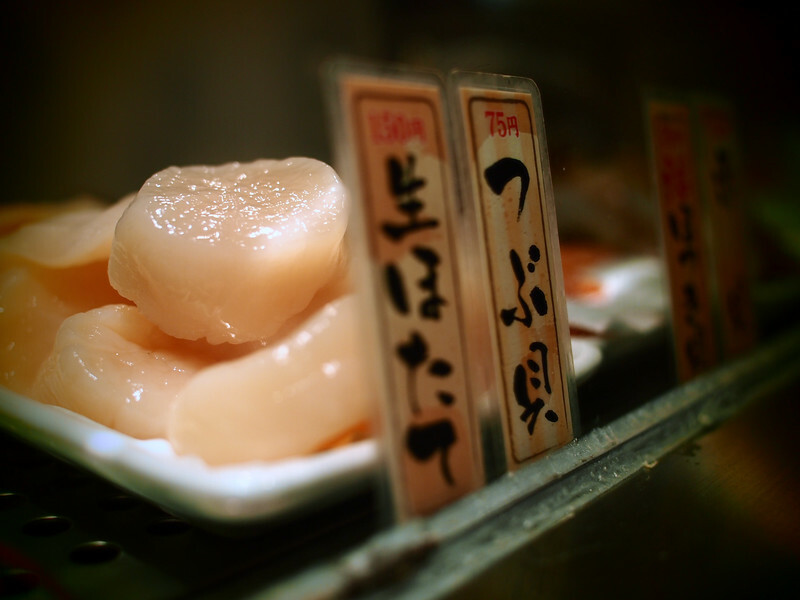 Sashimi is usually just fine, as is sushi when the rice vinegar is not mixed with malt. Avoid eel (unagi) as it is marinated in a soy-blend. 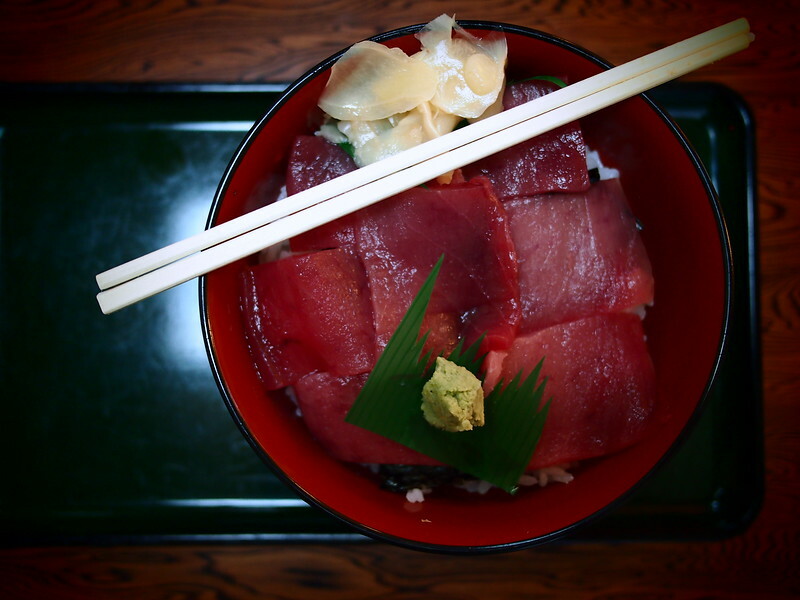 If getting a donburi bowl, like the tuna one below, show them your gluten free card so that you can make sure they don’t brush any soy sauce on the rice prior to placing the fish in the bowl. Morning fish markets — Kanazawa and Tokyo have wondrous ones — are great places to eat fresh sashimi or sushi, as well as freshly shucked oysters. You can also grab a scallop, have it shucked in front of you, and then watch it get grilled on a tiny BBQ. Again, just show the card and make sure they do not put soy sauce as a condiment. They always had lemon juice instead. Plenty of sea urchin too. Fresh seafood, from table to mouth. In Miyajima, you can also get grilled oysters on the side of the alleys, with lemon juice and soy sauce. Simply ask for no soy sauce and you’re set. 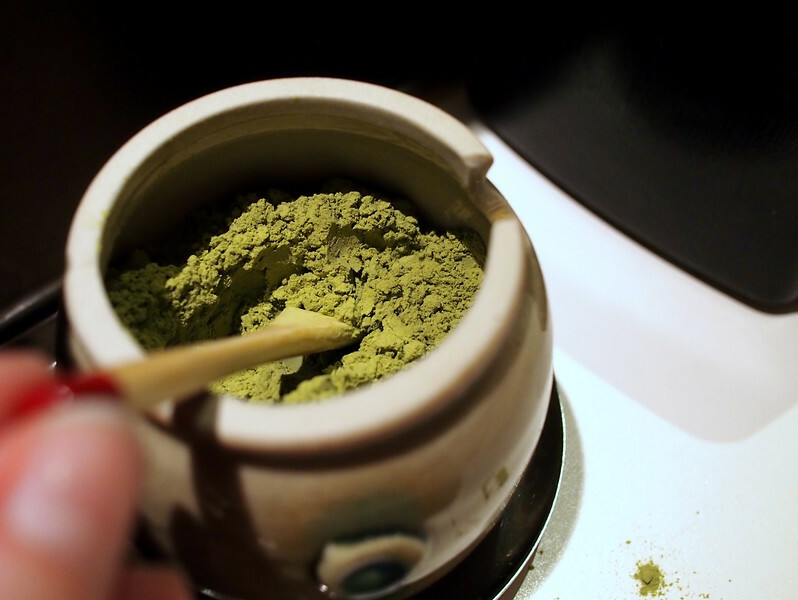 Matcha green tea is just fine for celiacs. And delicious. The list is long and the wheat plentiful, but it was very helpful to start memorizing what wheat and barley and rye looked like on ingredient lists in Japanese. While the name for barley was the cutest (mugi), it was also an ingredient far more prevalent in Japanese food than in Canada or the United States, especially in tea (mugicha). While the green tea above is quite bright, barley tea is a darker and earthy brown color. Stick to the green teas or the ones you can see are steeped leaves. Memorize or print these out and scan for them on ingredient lists. That was me, the random girl who took forever in the 7-11 as I frantically scanned the onigiri for mentions of these forbidden ingredients. Sadly this also means no okonomiyaki, one of the things I had the hardest time letting go. Japanese food would be so much more digestible for celiacs if soy sauce did not contain wheat flour. It was not always that way in Japan — see this incredibly thorough history of soy sauce and tamari from the Soy Info Center for more, if you are interested. But for our purposes the problem remains: soy sauce is used in otherwise gluten-free dishes, rendering them indigestible for those of us who cannot have gluten. I don’t expect a foreign place to cater to my whims or my digestive issues, so I say this only as someone who desperately wished I could partake in the incredible foods that the country had to offer. I felt like a kid in a candy store, except all the candy was made of plastic. Any dark sauces you see might be suspect as often this ingredient is what makes them take on that darker brown color. 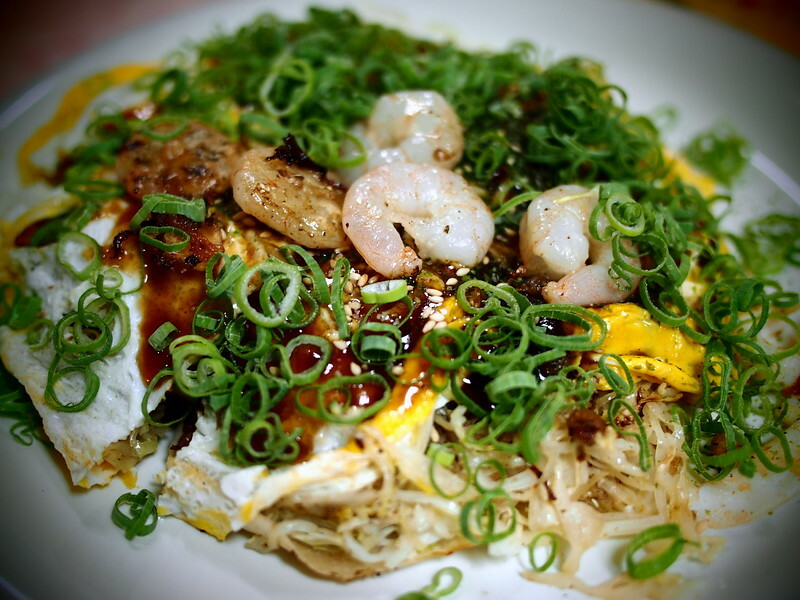 Included in this delicious (yet unavailable) list is ponzu, teriyaki, hoisin, and more. An option is to bring your own gluten-free soy sauce, available in small travel packets. I did not do this because I was travelling from afar but it is possible. Note that while in the West we use tamari as a thicker, pure soy sauce that has no wheat, not all tamari is gluten-free. In Japanese grocery stores, I did not see tamari that lacked the wheat kanji in its ingredients. As a result, I included tamari on the “cannot eat” list in the card below. While in the West we are much more amenable to making substitutions based on food restrictions, in many countries that is not the case. As I noted at the beginning of this post, it could be taken the wrong way in a country where people often train a decade or more to be working behind the sushi bar. I wanted to create a space for celiacs or those strictly avoiding gluten to chat on Facebook and ask questions. If that’s you, my group is here. There is also a great Japanese Gluten Free group on Facebook (I have no affiliation with it), highly recommended by fellow celiac readers. This list is frequently updated from a combo of my own experiences there and fellow celiacs who have traveled to Japan. Family run Chinese-style Japanese food. Very friendly staff, who made the effort to come and speak to me about my allergies, and explained what they were using in my food instead of soya sauce and other gluten ingredients. Had a delicious meal here. There’s an English menu, with a number of vegetarian and vegan options as well. As there’s only seating for 14 people here, it’s worth asking your hostel /hotel to ring and book a table for you. Open Wed-Fri, Sun 12-3pm, 5-7pm, Sat dinner by reservation. Vegan cafe, only open at times. It wasn’t open when we were in Takayama (Sun-Tues), but we read good reviews of food, and that they were able to cater for allergies including gluten. Daifuku deli stall (Nara train station): In the Nara train station (The main one, on the Kansai Main line, not the stop on the Kinetsu Nara line), there is a supermarket under the station (sub-level), where I was able to pick up vegetable crisps, plain nigiri (just rice) and salad. Before you go down the escalator from the station to the supermarket, you walk through a concourse with lots of little deli-style food stalls. On your left, directly after you enter this area, and before the escalators, is a stall that sells fresh daifuku and mochi. I was able to talk to the owner, and she was able to guide me through which ones I was able to eat, having the ingredient card with her. The shop is open from 10am, and well worth a visit. It was probably the best daifuku I had during my stay in Japan. Open 11am-7pm. Located in a sort of restaurant / shop / cafe complex, just outside of the deer park. You access it through a shop, where there are stairs going up to the restaurant on the floor above. The staff here were very helpful and able to tell me which sushi platters I was able to have that would not contain gluten. I had a wonderful, filling meal, with a fantastic view (the windows look out over the deer park, where you can see the tops of the temples). I brought my own tamari sauce, and the staff brought a dish for me to pour it in to. Open 1130am – 730pm, The food is a traditional Japanese rice, cooked in an iron pot with meat and vegetables, allowed to slightly ‘burn’, so that it takes on a deeper, nuttier taste. It’s really good, and wonderful option if you’re looking for comfort food. 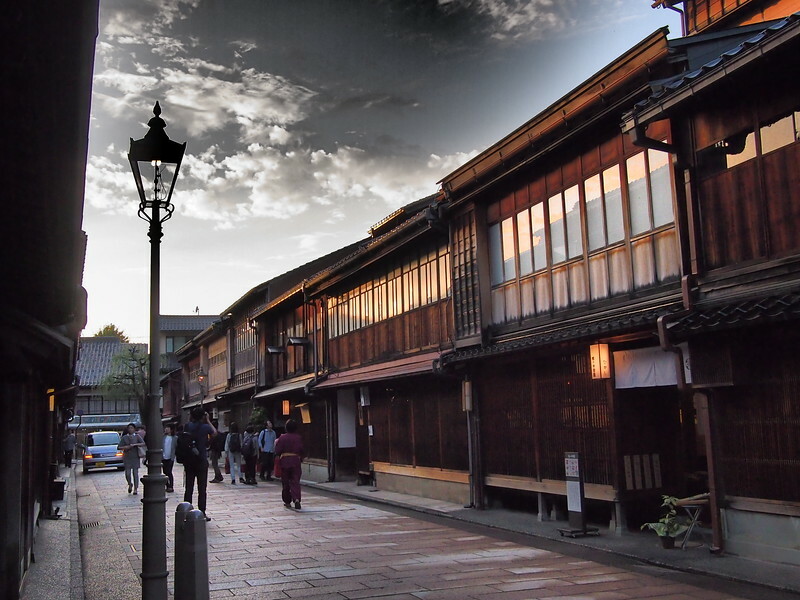 It’s located close to the National Museum in Nara. I had to show my gluten-free Japanese card to the chef, but they were able to accommodate me, and I had a lovely meal. Nara Hotel also offers a gluten free breakfast upon request. Reader Nicole raves about Gokuraku Curry, and was able to eat a Japanese curry (they usually have wheat in them) at this cute restaurant. There are limited restaurants on Miyajima island, and most of them are only open during the day-time, when there is a high number of visitors on the island. 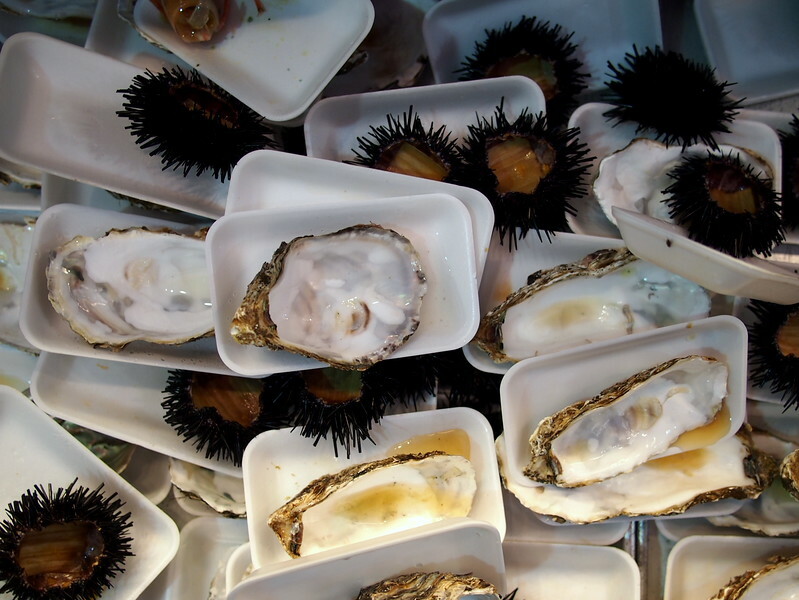 I brought over snacks from the mainland to make myself a dinner at our ryokan, but I was able to go into one of the many restaurants at lunch time, and they were able to provide me with plain oysters, plain rice, and some plain grilled fish. Again, I showed my gluten free card, and explained to them I could not eat soya sauce. They did seem a little perplexed, but after going back and forth from the kitchens, they assured me they would be able to cook something for me to eat. Sakuraya Ryokan on Miyajima island overnight, and they were able to provide me with a gluten free breakfast the following morning without any problems (a hard-boiled egg, yoghurt, salad and fruit). Yamaichi Bettkan, Minatomachi-1162-4 Miyajimacho, Hatsukaichi, Hiroshima Prefecture 739-0504, Japan Phone: +81 829-44-0700. Reader Anne stayed there and opted for the 1/2 board option, which included completely gluten free meal for her. She was able to eat sushi, sashimi, oysters, beef, desserts and breakfast without worry. Open 9.30am-10pm. Located on the 2nd floor of the building, this small cafe offers vegetarian and vegan food. As soon as I arrived and explained about my gluten allergy, the owners and staff were able to explain how they were going to adapt their menu for me, so that I had a couple of options. The menus are in English, and the food was very good. able to cater for gluten-free and other allergies as well. We actually stayed in this hotel, and didn’t eat here until one night when I was desperately hungry, after not finding anywhere in the centre of Kyoto to eat.. I’d come back to the hotel planning on redeeming my free drinks voucher, but they surprised me by making me fresh chips (fries), in new oil, with wonderful roasted vegetables alongside. They also had a delicious green tea creme brûlée for dessert. English menu. Really good food, Knew exactly what to do when I specified Gluten Free, and they were able to direct me as to what I could eat confidently. Another option in lieu of Indian food, Nepali food in Kyoto. They will ensure no gluten in the sauce and meals are made to order so a clean pan can be requested. Vegetarian-friendly also. ‘broth’ (made with the boiled water from the soba noodles), and was keen to try my tamari sauce himself when I produced the bottle from my bag. Noodles are made with 100% buckwheat flour. Open: Tue-Wed 12:00pm-4:00pm, Fri-Sun 12:00pm-4:00pm. By reservation only (call at least 1 day ahead). Located in front of the Saga-Arashiyama station (by the bamboo groves). Gluten free menu available. Cash only. Not always open, so need to call at least 3 days ahead. Upscale vegan restaurant near the Katabiranotsuji station on the Arashiyama line. Offers a lunch set consisting of a main dish, salad, and soup for around 2000yen. Main dish choices from pizza, spaghetti, and veggie burger to rice bread gluten-free burger. Choice Eat and Study Space Kyoto, 05-0009 Kyoto Prefecture, Kyoto, 東山区大橋町８９−. Vegan and gluten free options. Open 9am through 5pm or 8pm, depending on the day. For a place to stay, Onsen and Ryokan Kijite Hoeiso (227, Yumotochaya, Hakone-Machi, Ashigarashimo-Gun, Kanagawa, 250-0312) will ensure that your traditional meals are gluten free, with no soy or other wheat/gluten in them. Strictly celiac readers have stayed here with success. Kiyomura Sushizanmai (Sushi restaurant), 1F, Nakaza Cui-daore Bldg., 1-7-21 Dotonbori, Chuo-ku. Open 24 hours a day, for any sushi craving you might have. Their miso and rice are gluten free; you can bring your own GF soy sauce or tamari to use with the meal. Several celiacs reported success here. Grom (gelato), an Italian gelato company that makes 100% gluten free cones without any vegetable oils. They’re taking over Europe, and just opened an Osaka branch as well. If you need a break from mochi treats, this is your best option — great refreshing flavors, 100% gluten free. Opening hours: 10:00 to 20:00, Closed: Monday. Gluten free bakery, just a couple of stops north on the train from the Studio Ghibli Museum, just outside of Tokyo. About 7 min walk north from the Musashi-Sakai station on the Chuo Main Line. Offers bread with gluten free rice flour, and GF doughnuts and cakes. The owner himself suffers from gluten intolerance, which is why he started the bakery. Very friendly, and a nice range of GF baked goods. Shin-Yokohama Ramen Museum now has gluten free ramen! 222-0033 Kanagawa Prefecture, Yokohama, Kohoku Ward, Shinyokohama, ２−１４−２１, open 11am-10:30pm. Last call for food is at 9:30pm. Thai restaurant, who were very good at telling me what I could eat (had a delicious Pad Thai). Food so good we actually went back to eat here a second time before we left Tokyo. A little out of the way, in Northern area of Tokyo. Many kinds of GF Pasta, afters, dessert, sweet. Open: Seven days a week. Crepe shop in Harajyuku Tokyo. All crepes are made of gluten-free rice flour. We went here the day after my birthday, to have a birthday (pan)cake… If you’ve not got a massive stomach, I recommend getting one pancake between two people, as they are humongous! Filled with cream and fresh fruits. The restaurant is attached to Spa-like cosmetics shop. Offers loads of gluten free food: GF pancakes and french toast, muffins and scones, as well as GF bread and pasta meals. We went here twice as well as the food was great. For a guidebook, I used the Lonely Planet Japan guide. For a short, fun guide check out 101 Coolest Things to Do in Japan (includes Tokyo, Kyoto, Osaka, Hiroshima, and budget travel tips). The following books are ones that I’ve read that are wonderful for bringing Japanese culture to light in different ways. Often creative and surreal, they were a pleasure to read. Thus concludes my gluten free guide to Japan! I warmly welcome feedback and hope that it helps those of you who want to travel to a really fascinating place but are scared to do so because of your stomachs. As a celiac I definitely have many times when the panic hits — when I’m tired and hungry, and unsure of what is safe. But hopefully this post helps, and I will continue to write them on the site for the places I visit. The rest of my celiac guides on this site are here.